What IS happily ever after? And why does the story end there? Because it is a FANTASY. 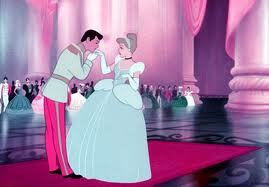 There is no Prince Charming in real life…nor is there a Cinderella. There are only imperfect human beings. The story HAS to end there because nobody wants to read about Prince Charming being unemployed, not helping out with the children, that he is having an affair—or that if he tried to carry his Princess, he might rupture a disk. Nor does anybody want to picture Prince Charming’s bald head and gut. And they absolutely do not want to see what gravity has done to Cinderella. Matter of fact, Cinderella probably doesn’t want to see it either! If she is like me, she fluffs her hair and applies a little lipstick to draw the eye up. Lets face it. After the fairy tale, the only place to go is THE END. Going any farther wrecks the image of Perfection. Stopping short allows people to create their own unique vision of what comes after ‘the end.’ Sort of a ‘prettied up’ version of life. Yet everyone seems to want me to ‘date.’ And they mean well. They want me ‘coupled’ up, so that I’me as happy as they are. Two by two, like Noah’s Ark. Sneakers, candlesticks and Twix bars come in pairs. They want me to have the ‘other half’ to make me whole. If I was a donkey, they would want me to find another a#@ to partner up with. The flaw in that thinking? Before I am happy in a relationship, I first need to be happy with my life and myself—as is—without a relationship. So that I bring my ‘best’ self into my next relationship. The “Guy” was a blind date I was planning on fixing you up with. Whatdya think?? Yes, No, Maybe??? That comment takes me back to the moment I spotted the Strange Man at my doorstep–and I still think her joke hilarious…I was half asleep and just stunned!! But if he does, I hope like he%& that he is nothing like Prince Charming. Because I would like a real man. One who has a sense of humor, likes dogs and children, doesn’t mind that my life revolves around sitting at childrens’ sporting events–at least for a few more years. A little patience would be good. Who am I kidding? A LOT of patience would be NECESSARY. I’d like a man who likes the simple things—time with family, a walk on the beach, relaxed family holidays…who would enjoy the (mostly) annual summer trip to Hilton Head Island, where my family gathers to lounge on the beach for a week. And I have to trust that I will know him, when I see him. It is human nature to look too hard for something…and not recognize that we already have it or that it is right there before us for the taking. We miss the obvious. Or think we need to struggle, or that a relationships are hard. I can honestly say that my best and closest relationships have always been easy—with my children, friends, family and others that have been a part of my life. In labeling another person a ‘soul mate,’ or ‘the one’…is there anywhere to go but down? With such high expectations, what happens when Mr. (or Miss) Perfect steps wrong and acts human? Forgets a birthday, or to call to say they’ll be late? Or leaves dirty laundry strewn about the bedroom and crumbs on the coffee table? So…no Prince Charming for me, Thank you very much! But at some point in the future, I would very much love for a ‘nice’ Fella to happen across my path. He needn’t be Perfect—in fact, I find perfection boring. 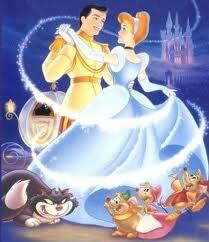 I’m a girl who doesn’t want the Fairy Tale…I actually want the real life that comes after THE END. The whole ride…with all its ups and downs. Note to Stella: So help me God, I better not be awakened in the middle of the night to a life-size cardboard cutout of ‘Prince Charming’ on my doorstep. And you best not send me a Fella dressed as Prince Charming for Halloween.